Before holidaying in Istanbul, I’d never heard of Cappadocia. Luckily for me, I have a keen and inquisitive photographer for a partner, who thought it’d be the perfect day out. He wasn’t wrong. However, it was quite an expedition to get there from central Istanbul and involved a very early morning taxi, an internal flight from Sabiha Gokcen airport, two uncomfortable bus journeys, and a bit of walking in the intense Turkish sun before we could even start our adventure. Queen of the World. Or something. Cappadocia is one of the most unique sites that we’ve visited and reminded me, somewhat, of the set from a Star Wars movie. Its incredible topography makes it a massive tourist attraction. The volcanic landscape is pretty inhospitable, but years of erosion has led to the formation of amazing caves and spikes in the soft stone. Houses and dwellings have been carved into the rocks and whole communities used to live here. It’s a massive area, so we found that comfy shoes and a decent level of fitness was the best way to see the sights. Cappadocia is famous for hot air balloons, which must be an amazing way to see the landscape from the skies. Unfortunately, I’m not a fan, so I preferred to keep my feet on the ground and get round the old fashioned way. One of the most popular areas is the Goreme Open Air Museum, which is an UNESCO World Heritage Site. 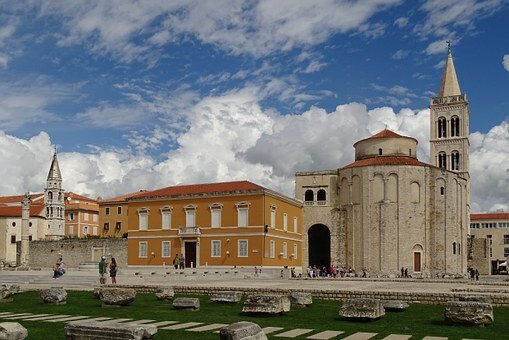 The Museum showcases what was previously a Byzantine monastic hideaway, with fabulous churches and chapels carved into the rock. Pathways lead right around, so there’s a natural route to take you up into the hills. There are lots of little caves and frescos to have a look at and wear out your camera photographing. 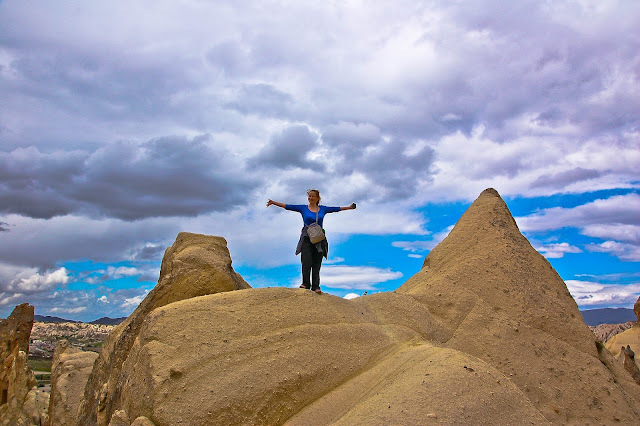 Although the area was busy with busloads of tourists during our visit, Cappadocia is so expansive that you’re never too far away from peace and quiet. 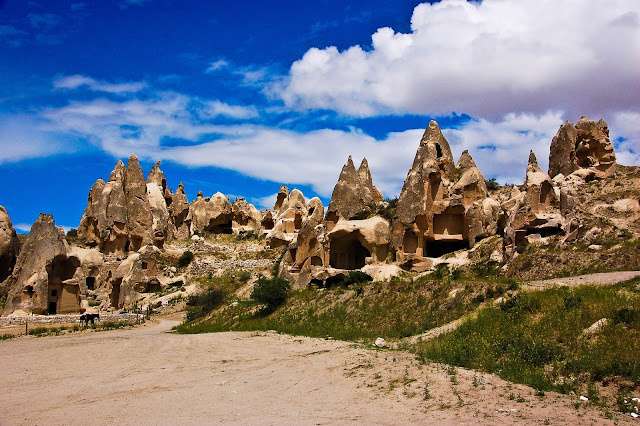 The Fairy Chimneys in Goreme National Park have been formed over the centuries when the wind and rain has eroded the rock and produced unusually shaped columns in the stone. They are quite magnificent and look like they’ve been intentionally carved. I spent a while staring at them and trying to comprehend just how they came to be. I’m still thinking about it months later. Urgup is a small town (much larger than Goreme) and has a range of eateries and accommodation nestled in amongst the amazing local scenery. 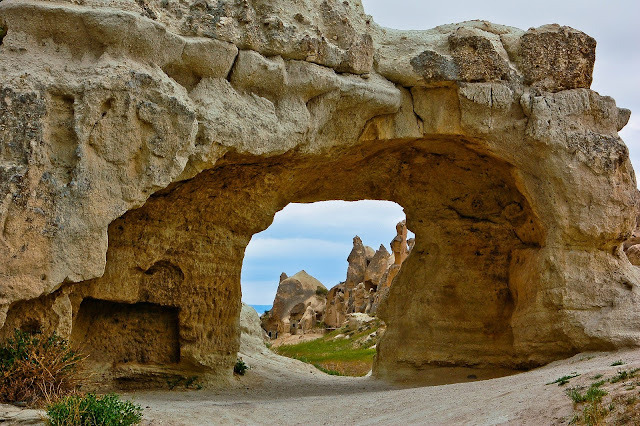 It is the tourism hub of the area, although Goreme also has offerings in terms of places to stay and things to do. Both towns are equally lovely, though, and worth exploring in their own right. It is estimated that the entire site of Cappadocia could be up to 5 million square feet. That's right....5 MILLION Sq ft. Clearly, then, there's A LOT to see. The whole area has so much to offer and, if you can handle the heat, you’ll love it. Despite it taking the best part of 6 hours so us to get there, it was well worth the expense and the time to have been standing in the midst of such an incredible landscape.